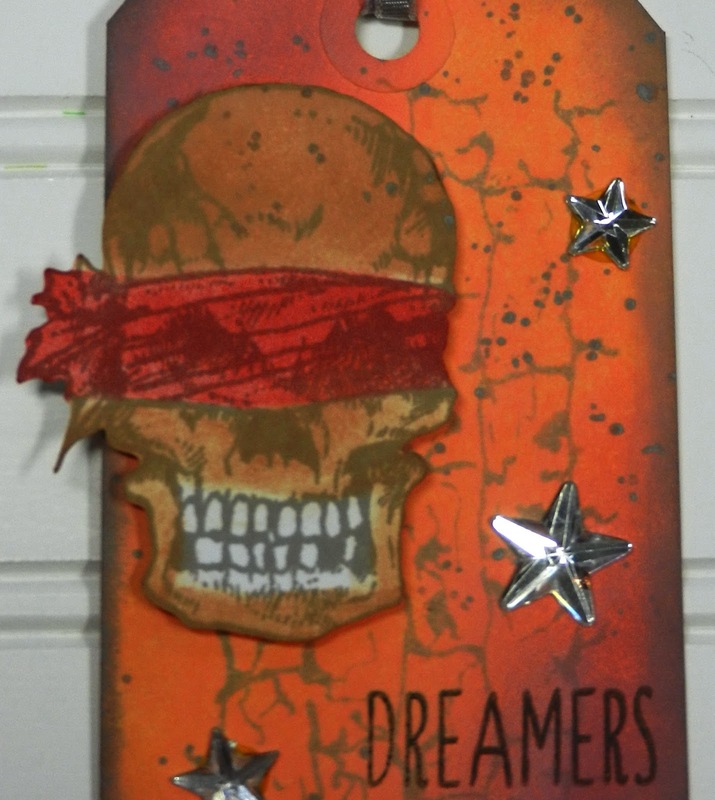 Today we are making a fast and fun tag using the new Sin City Stamp Set called "Dribonez". It made me think of dreaming while wearing a sleeping mask so, I went with it! I hope this imagery will invoke the concept of dreaming and allow your mind to set itself free. We are the crafty people so there is no telling where we will go with our creations if our minds are set free. 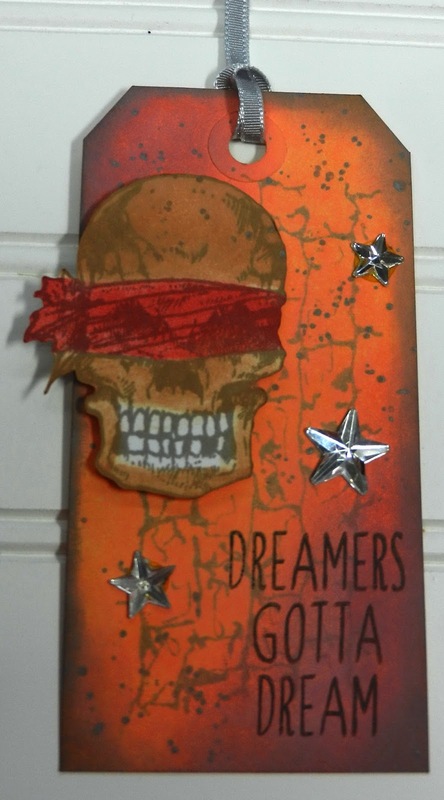 I used the new Sin City "Background Grunge" stamp set to create the background for this tag. I ink blended the background creating a powdered mat finish. Next came the stamping and coloring of the skull from the Dribonez stamp set. After cutting the skull out I used dimensional tape to pop it up off the tag. I added a few mirrored stars for whimsy and a ribbon to finish the tag off. Please add your quick projects using Sin City Stamps to the Sin City Facebook Page.